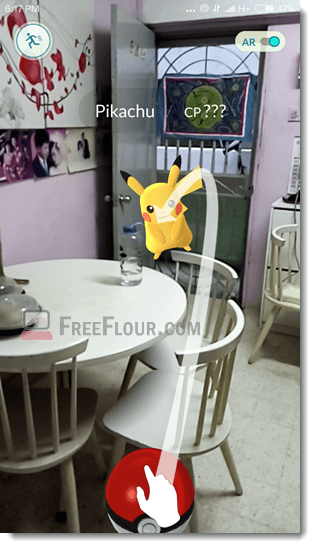 How to catch Pikachu easily as your first Pokemon in Pokemon Go without choosing Charmander, Bulbasaur or Squirtle. How to lure Pikachu. Charmander, Bulbasaur and Squirtle are not the only Pokemon you can choose at your first encounter. 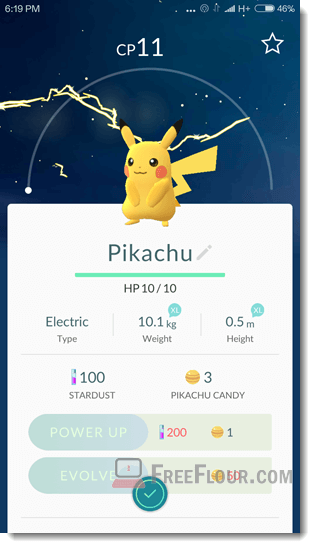 With the help of some trick, you can also find and catch Pikachu as your first Pokemon in Pokemon Go! No doubt that Pokemon Go is now the most played game worldwide reaching a 22 million daily active users, breaking candy crush record of 21 million, becoming the highest ever played game in the US mobile app history. When you first start your journey in Pokemon Go, you will be walking through some basic tutorials and catching your first Pokemon which follows the first generation of Pokemon story, the Charmander, Bulbasaur or Squirtle. However, you can actually ignore all the 3 selections which 99% of the people would choose and go straight for a lovely Pikachu. As you see we keep emphasizing the word, first Pokemon, which indicates the very first pokemon you catch in Pokemon Go. If you have already caught your first Pokemon and began your journey, you should look for another guide (apparently harder) to find or lure Pikachu to you in a different way if you want a Pikachu badly, or you can create a new account to easily catch Pikachu as your first Pokemon if you think it’s worth it to give up your previous journey if you have just started it not long ago. So, if you have already go passed the tutorial where you have to catch your first Pokemon among the 3 common choices (Charmander, Bulbasaur or Squirtle), you will have to give up this account and create a new one in order to proceed. This would mean that you will need a different Google account or Apple ID in order to start a new journey. Here’s how. Tap on the Pokeball in Pokemon Go main screen. Tap on the Setting icon at the upper right corner of the screen. Scroll down until you see the button Sign Out. Tap on it. The easiest way to start all over again without having to sign out and in of your Google account or Apple ID is by just registering a new Pokemon Trainer Club account. In Android, sign in with a different or new Google account on your android device and then launch Pokemon Go. Tap on sign up with Google account to create a new and fresh Pokemon Go account. In iPhone, iPad, iPod Touch or other iOS devices, it’s much preferable to just create a new Pokemon Trainer Club account. However, if you insist on syncing your Pokemon Go progress to your Apple ID, sign out of your current Apple ID in the Setting app. Sign in a different or new Apple ID. Launch Pokemon Go and sign up a new account with Apple ID. When you have a new start-from-scratch Pokemon Go account set and ready to go, walk through the usual tutorial and character creation until the catch your first pokemon phase. 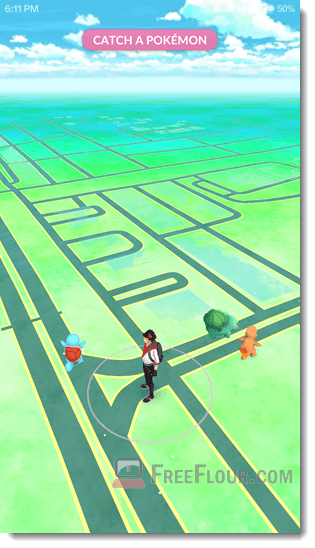 When you walk outside, you should always see the three starter pokemon waiting for you as soon as you start walking on the street. Here’s the important trick. IGNORE all encounters, walk away from them and continue walking. Your phone will vibrate whenever they appear together again. Keep walking until about 5th or 6th encounter, you should see Pikachu as the fourth Pokemon among the choices. Walk over to Pikachu and start catching it! To catch a Pokemon in Pokemon Go, in our case now, a Pikachu, tap on him and swipe (throw) your Pokeball towards him until you have successfully caught him. That’s it! 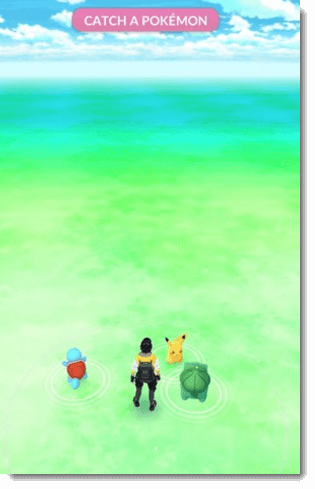 You will now have a Pikachu as your first Pokemon in Pokemon Go! A side note to this: Pikachu is a mouse, not a bunny! Have fun. If you catch more Pikachu later in your journey, you can safely send the extra ones to professor for Pikachu candy. Don’t power up before you have enough candy to evolve your Pikachu to Raichu. Power up only after evolve so that you don’t waste unnecessary candy.